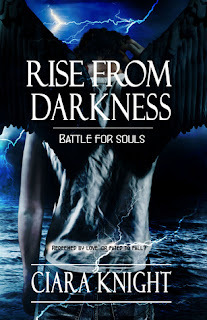 Hello and welcome to our stop on the “Battle For Souls Series” by Ciara Knight REVIEW ONLY Blog Tour. Alexander Lorre gives new meaning to the term “tormented teen.” He’s a newly fallen angel, which means he has the self-control of a three-year-old, the hormones of a teenager and the strength of an angel. When he rescues Gaby Moore from drowning, the chemistry between them is undeniable. With a local demon threatening Gaby’s life, he struggles to find a balance between remaining close enough to protect her but distant enough to control his desires. As danger draws closer, Gaby uncovers shattering secrets that will lead to an ultimate choice. Will she fight alongside her father, an earthbound hunter killing fallen angels and demons, give into the demon blood coursing through her veins and join the demon world, or save the man she loves from both? The first two choices damn her, but the last one could destroy them all. Gaby Moore’s powers emerge years too early due to adolescent hormones, complications with loving a fallen angel, and constant demon attacks. She is forced to deal with the guilt of believing she murdered Alexander’s “mother,” while trying to stop the demonic war before it begins. Only the love and acceptance of friends, family, and her beloved Alexander could save her from turning to her demonic side. 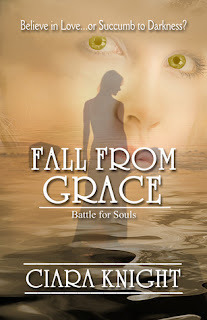 Gaby Moore fails to stop a demonic war which released condemned ancient angels and Lucifer’s minions to Earth. When all hope is lost, Herak, an Ancient sentenced to eternal solitude for starting the first demonic war, pledges to save the world. But is he really reformed and ready to fight, or will he betray Gaby and Alexander forcing them to sacrifice their love and each other to save the world? Ciara Knight writes to ‘Defy the Dark’ with her fantasy and paranormal books. Her debut novel, The Curse of Gremdon, was released to acclaimed reviews, securing a Night Owl Top Pick and five stars from the Paranormal Romance Guild. 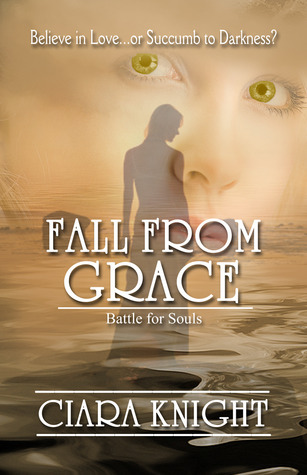 Also, released in 2012 is her young adult series, Battle for Souls. Book I, Rise From Darkness, won July Book of the Month at Long and Short Reviews. The heroine from Ciara Knight's latest YA paranormal Battle for Souls series is my favorite type of female main character. Gaby is strong yet vulnerable, is dealing with events in her life stoically and still remains a nice girl. She recently lost her mother and her father isn't around much, especially when he's drinking. She has her new friend, Sammy, and meets Alex by accident when he saves her. A quiet existence suddenly begins to change as Gaby learns about the existence of angels and demons, the true identity of her friends, the role of her family and her own self. 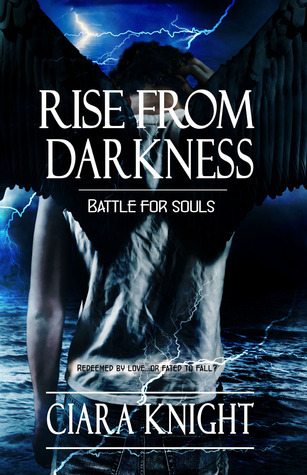 The first book, Rise From Darkness, nicely sets up the foundation for this world and Gaby's life. I enjoyed reading her plights and seeing her grapple with the changes these truths bring about. There is a nice balance of action, character development for all, enough angst to make our teens believable (especially Alex, the fallen angel), the plotting is effective and sneaky with plenty of twists, and the leading male character is a guy truly worth swooning over. Alex may be hot but he's also good and admirable (I can't say that about all the male angels in today's books). Ciara Knight puts her own unique spin on paranormal beings and makes us want to read more. 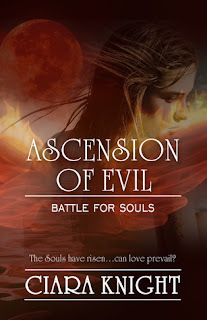 The Battle for Souls series is a welcome addition to the YA market. Grab this series and jump into Gaby's world. I did. The rich blue hues are appealing and are connected to the story. Author is giving away the series in ebook to one winner. This series sounds so good!!! The series does sound fabulous.